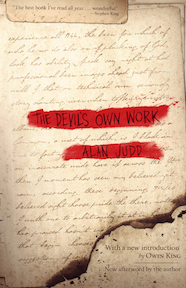 Alan Judd is a novelist and biographer who has previously served in the army and the Foreign Office. Chosen as one of the original twenty Best Young British Novelists, he subsequently won the Royal Society of Literature’s Winifred Holtby Award, the Heinemann Award and the Guardian Fiction Award; he was also shortlisted for the Westminster Prize. He was in his spare time the Spectator’s motoring correspondent and is currently a comment writer for the Daily Telegraph. He lives in Sussex with his wife and daughter.